Depending on the size of your business, there are a few things to take into consideration when deciding on a proper business telephone system. It’s no secret that a phone system is incredibly important for your business to operate at its fullest potential, as communication is unbelievably important in any business setting. 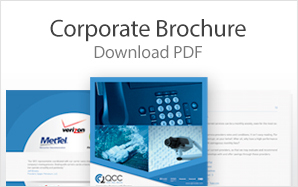 If you’re looking for the best providers of Maryland business telephone systems or reliable business telephone systems in Pennsylvania, Virginia, or Washington, QCC can guide you down the right path. Even the most advanced technological gurus may stumble when it comes to finding a business telephone system, but with a little guidance selecting the best Maryland business telephone systems can be a stress-free endeavor. We have a strong passion and responsibility for helping our customers and potential customers choose the absolute best systems that will ultimately make business communications stronger and immensely reliable. 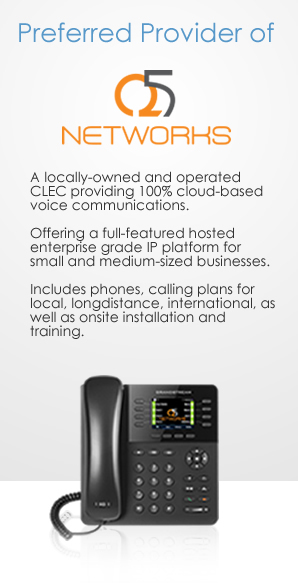 What should you look for when choosing Maryland business telephone systems? It’s important to take your business needs into consideration. In many cases a standard plain old telephone service setup might be an acceptable choice, but when the need to add extensions and voicemail accounts for each employee comes into play, a VoIP or more professional Maryland business telephone systems might be the wisest decision. The Maryland VoIP service from QCC allows employees on the road to use the telephone system depending on whether or not Wi-Fi is present. A strong business telephone system should include multiple extensions, remote voicemail access, route-to fax capability, call forwarding and the option for teleconferencing. If your business receives a large volume of calls from customers or prospects, a toll-free number might be a beneficial option. With a toll-free number, your business will only pay for the incoming calls and your customers won’t be charged to make the call. It’s also important to consider the potential for your business to expand. It’s highly suggested that when choosing Maryland business telephone systems that you take into consideration the potential for your business to grow. Even if your business is just one or two current employees, it’s a wise decision to choose a business telephone system that can cater to an expansion to save you the stress and time of shopping for new Maryland business telephone systems in the future. If you’re looking for top-class customer service and suppliers of the best Maryland business telephone systems or telephone systems in Pennsylvania, Virginia, or Washington consider contacted QCC. Our expert and knowledgeable staff can help equip your business with world-class business telephone systems at affordable prices. QCC Maryland business telephone systems are certified partners with Avaya, Panasonic and ShoreTel. When you choose QCC you’re getting top brand Maryland business telephone systems to help your business prosper and grow. If you’re in need of dependable business telephone systems in Washington, Virginia, Pennsylvania or Maryland, contact our experts today to find out how you can get a reliable business telephone system for your business needs.